. :: Welcome to Mother Teresa College of Education :: Sports & Fine Arts ::. The college endeavors to develop the personality of students through fine arts. It provides opportunities for the student teachers to exhibit their talents by conducting competitions at the college level. Competitions in Music (solo and group), Dance (Solo and Group), Rangoli, Essay writing, Innovative Teaching, Model Making and Mime are conducted. 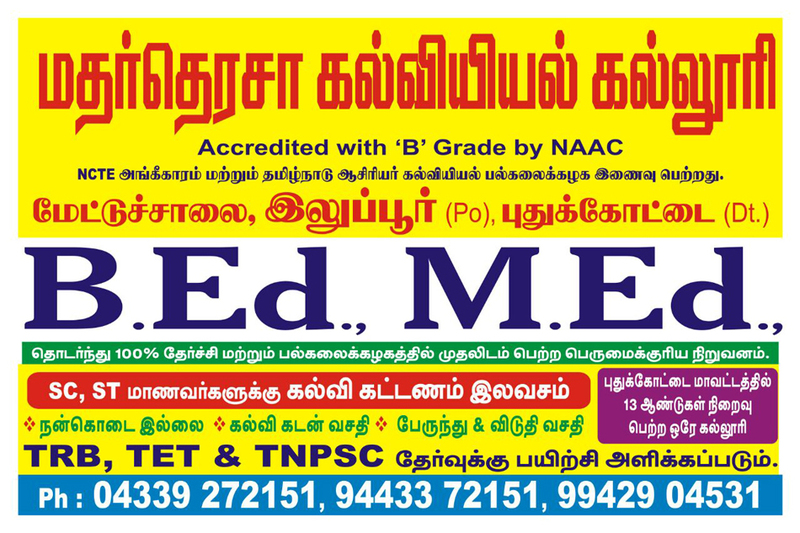 Both B.Ed And M.Ed students take active part in it. Competitions in 10 minor games and on major games such as Volley Ball, Throw Ball, Kho-Kho, Kabadi and Cricket are conducted in the college every year.